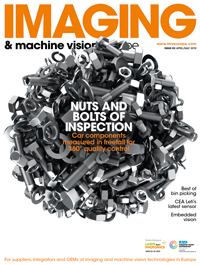 Machine vision is one of the driving forces of industrial automation. For a long time, it’s been primarily pushed forward by improvements made in 2D image sensing and, for some applications, 2D sensing is still an optimal tool to solve a problem. But the majority of challenges machine vision is facing today has a 3D character. From well-established metrology up to new applications in smart robotics, 3D sensors serve as a main source of data. Here, we discuss the parameters of 3D sensing techniques.